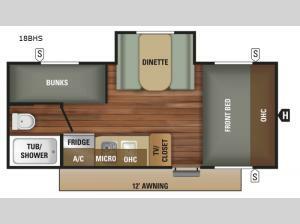 Come see just how easy it is to vacation with this single slide out Starcraft Autumn Ridge Outfitter 18BHS travel trailer. Your kids will enjoy their own space with the bunk beds and mom and dad can sleep at the front bed. 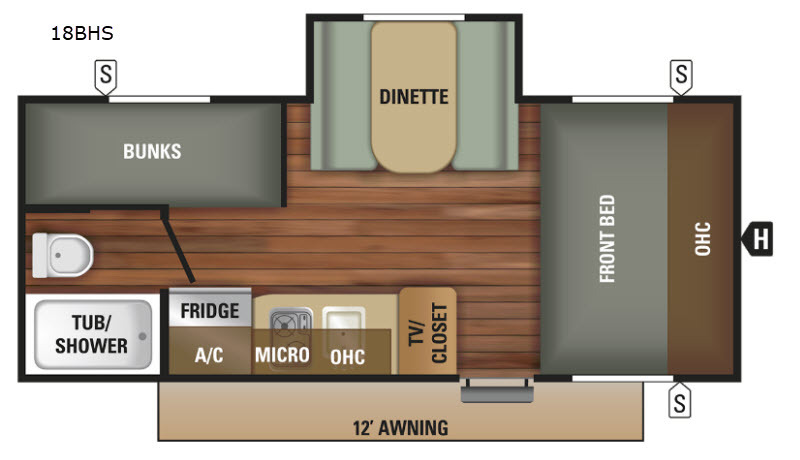 You can get ready for the day with your own rear bathroom which features a tub/shower, and a toilet.